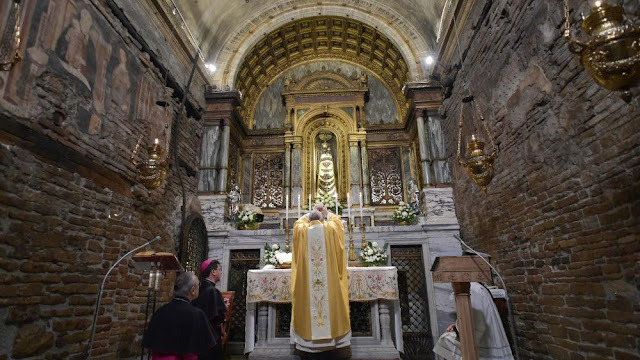 southern orders : DID THE POPE AGAIN CELEBRATE MASS AD ORIENTEM IN THE CHAPEL OF OUR LADY OF LORETTO? DID THE POPE AGAIN CELEBRATE MASS AD ORIENTEM IN THE CHAPEL OF OUR LADY OF LORETTO? I'd a lot happier if the top photo was of PF resigning.